Fermentation, a process in which sugar is transformed into alcohol, acids, and gases, occurs in bacteria and yeast and also in oxygen-starved muscle cells. Fermentation is primarily carried out to procure a desirable chemical product by cultivating microorganisms and it usually takes place in anaerobic conditions. Fermented ingredients find application in kick starting the process of fermentation in food and non-food products to obtain the requisite chemical product. The global fermented ingredients market is forecasted to grow at a good clip on account of the progress in bio-ethanol industry – bioethanol fuel is increasingly supplanting petrol and is mainly manufactured by fermenting sugar. Other things fueling the fermented ingredients market are growing awareness about food preservation, need to up the shelf life of products, and robust demand for antibiotics. Providing headwinds to the market, on the contrary, is the steep cost of raw materials. From a geographical standpoint, North America dominates the fermented ingredients market and is predicted to gain share in the market steadily in the near future as well mainly on account of large sized end-use industries which results in huge consumption of fermented ingredients. However, on account of being a mature market, the growth rate may be slower than that of fast-expanding emerging economies in Asia Pacific and the Middle East and Africa. The latter are expected clock stellar growth in the upcoming years owing to increased demand for good quality food and beverage and personal care products, particularly from the densely populated and rapidly progressing nations of China and India. The increasing efforts for eco-friendly production systems and the advantage of easy and convenient production of bioethanol which has a myriad of industrial applications are the primary factors driving the global fermented ingredients market. There has been a sharp rise in the demand for fermented ingredients from the food and beverage industry for several uses including food preservation and enhancing the shelf life of food products. The growth of the market will also be assisted by strong demand in different product segments such as amino acids, antibiotics, biogas, and vitamins. 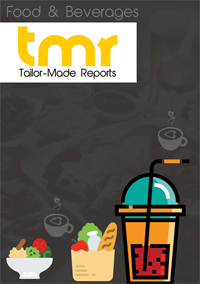 This research report provides a comprehensive outlook on the global fermented ingredients market by segmenting the overall market on the basis of various criteria including product, applications, and geography. Each segment has been methodically examined in terms of both revenue and volume. The report offers insights into the historic and current data pertaining to the market and uses it to estimate future trends. It uses Porter’s five force analysis and market attractiveness analysis to derive the competitive landscape of the market. It profiles key players of the market along with their business strategies, latest development, and contact information. It also presents a detailed description of the factors influencing the market and the extent to which they impact the growth. The rapid growth of end-user industries such as food and beverages and pharmaceutical is providing a fillip to the global fermented ingredients market. The rising health consciousness among consumers is paving way for higher awareness regarding quality fermented food ingredients, thereby augmenting the market. Moreover, the growing demand for personal care products is fuelling the market. On the other hand, the erratic availability of quality raw materials is creating a bottleneck in the growth of the fermented ingredients market. Furthermore, the high operating costs along with the high capital investment requirements for research and development activities are adversely affecting the profit margins of the players in the market. On the basis of geography, the global fermented ingredients market can be fragmented into Asia Pacific, Europe, North America, and Rest of the World. Asia Pacific is expected to be a lucrative market throughout the forecast period, with countries with a high population such as India and China being major contributors. The increasing demand for high-quality personal care products and food is working in favor of the growth of the region. The growth of the North America region can be attributed to the flourishing growth of the pharmaceutical industry in the U.S. However, due to the mature nature of the market in North America and Europe, these regions are likely to progress at a sluggish pace. The global fermented ingredients market is characterized by moderate competitive rivalry. Some of the prominent players in the market are Ajinomoto Corporation Inc., Angel Yeast Co. Ltd., BASF SE, Cargill, Chr. Hansen A/S, Döhler Group, and E. I. du Pont de Nemours and Company. Mergers are acquisitions are among the commonly adopted strategies by key players to enhance their market shares.